Today's post is about the Aloe Vera gel. Many consider it as a medicinal plant thanks to its amazing health benefits. It can be taken internally and applied on the skin. Because the plant contains multiple vitamins, minerals, amino acids among others, it has excellent anti-inflammatory and antiseptic properties. Like the man wisely said in his video, peel the leaves and let the latex yellow/green liquid – also called aloine - drain and then throw it away. It has strong laxative properties and can be toxic. I wouldn't use it even for heavy constipation. Before you roll up your sleeves, make sure your plant is three years old at last. Three years old is the minimum for the plant to offer its full benefits. On the video, the man already cut the leaves. There is a way to do it. Make a small incision in the corner of the leave, at its bottom and then pull the leave to the opposite side. If you made the incision on the right side, then pull the leave to the right. And then proceed as per the video. Lily of the desert: its ingredient list is said to be truncated. The gel is very thick because it is made from aloe vera juice and carbomer, a thickener. It also contains harsh preservatives, which can explain why we don’t find a mention to store it in the fridge. For this reason, I am reluctant to use it on my skin and keep it for my hair - refer you to my previous post. Aroma Zone: this gel is also made from aloe vera juice and a gum that gives its gelly texture. It uses radish root as preservative. It has to be kept in the fridge. I mostly use it to do my facial mask. Once a week, I apply a honey-aloe vera gel on my freshly cleansed skin and I tried to keep it for an hour. In addition to its numerous benefits mentioned above, the gel thickens the honey so it doesn’t run down your face and mess everything up. For me aloe vera gel is LIFE. 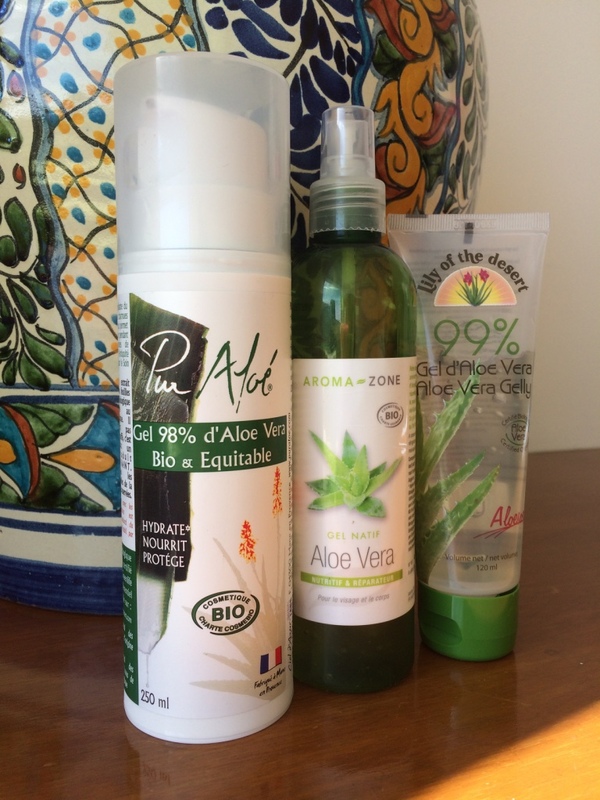 You can read here and there that the aloe vera gel is excellent to nourish your skin. That is not true. The aloe vera plant mainly constitutes of water to be able to survive under hot conditions. The water hydrates, so does the aloe vera gel. The oil nourish like coconut oil. Quick DIY: mix 1/2 cup of aloe vera gel with 1/4 cup of gently melted coconut oil. I typically run some hot water into my bathroom sink and put my coconut oil pot inside for a couple of minutes for the oil to melt. It’s an excellent daily moisturising lotion. Add few drops of vitamin E (two to four) and keep it in a cool and dark place. You are welcome!